Located at the corner of 201st and 68th Avenue in the heart of Willoughby, Park Hill's Phase II offers 63 urban 1 - 3 bedroom & Den Condominium Homes and the exciting new addition of City Style Lofts. Situated next to serene rolling parklands and a network of community trails, Park Hill's outdoor lifestyle is just as expansive as it is inside. 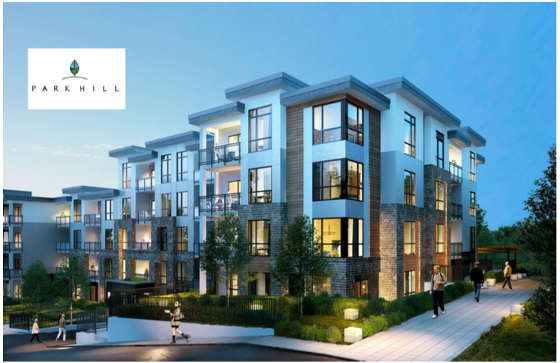 PARKHILL CONDOS - feature thoughtfully designed floorplans offering spacious kitchens with Quartz counters, sleek SS appliances, elegant nine-foot ceilings, modern vinyl resistant floors in the main area and plush carpets in the bedroom. Natural light fills these homes through bright oversized windows. Backing onto a lush forest area giving you Room to Breathe. PARKHILL TOWNHOMES - offer stunning walk up front entries with spaciously designed floorplans focused on natural light and luxurious finishings. Stunning kitchens with a large island and built-in pantry, sleek Samsung SS appliances, elegant 9ft ceilings and modern vinyl resistant floors on the main with large bright windows to flood in natural sunlight. Upstairs plush carpet greets you with ceilings vaulted up to fourteen-feet.